In the wake of Marlon James's Man Booker Prize-winning A Brief History of Seven Killings, Augustown-set in the backlands of Jamaica-is a magical and haunting novel of one woman's struggle to rise above the brutal vicissitudes of history, race, class, collective memory, violence, and myth. Ma Taffy may be blind but she sees everything. So when her great-nephew Kaia comes home from school in tears, what she senses sends a deep fear running through her. While they wait for his mama to come home from work, Ma Taffy recalls the story of the flying preacherman and a great thing that did not happen. 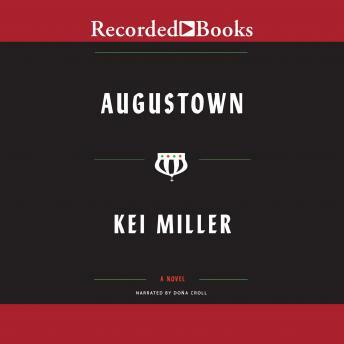 A poor suburban sprawl in the Jamaican heartland, Augustown is a place where many things that should happen don't, and plenty of things that shouldn't happen do. For the story of Kaia leads back to another momentous day in Jamaican history, the birth of the Rastafari and the desire for a better life.